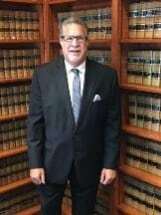 Strong and protective advocacy for family law clients is the focus of Howard A. Gold's law practice. He will stand up to others who want to intimidate his clients, and he will provide the personalized attention necessary for each client to resolve their legal issues and move ahead in the best possible way. His law practice focuses on matters involving Divorce, Post-Divorce, Custody and Parenting Time (Visitation), Division of Property, and sexual victimization by professionals and family members. Mr. Gold has practiced law in Georgia since 1974, and he has also been admitted to the bars of New York State and Washington, D.C. His knowledge and experience in the area of family law is well regarded throughout Georgia. Formerly a psychotherapist, he was involved in the drafting and passage of Georgia's Family Violence Protection Orders as well as the Child Abuse Reporting Act. Mr. Gold conducts workshops around the state for psychiatrists, psychologists, psychotherapists, and clergy on how law impacts therapy practice. His well-appointed law office provides a warm environment for consultations and is located in the Buckhead neighborhood of Atlanta, Georgia. It is easily accessible from major thoroughfares including I-85, I-75 and GA 400, and there is free parking in front of the office. The office is handicapped accessible. "Thanks so much for giving 100% of your heart and soul to [my children] and me! You are great and I respect you and your talents." – C.
"Thank you for your caring and concern. I felt that I was in excellent hands throughout the process and that the end result was even better than I had dreamed possible." – L.
"Thank you for your phone consultation with me last week. Your advice was most helpful and fit with my client's wishes. I appreciated your time and prompt attention to my phone call. Having heard from other therapists, I know that your ongoing education of therapists regarding legal matters as well as your availability for consultation are very much appreciated by the therapeutic community. Thanks again for your assistance." – A.W. When you need a lawyer who will fight for your best interests, call Howard A. Gold.